French newspaper, L'Equipe reports that Deschamps is set to line-up N'Golo Kante and Blaise Matuidi in the midfield with Paul Pogba on the bench. The duo of Paul Pogba and Alexis Sanchez would find it quite easy to understand the saying that money does not guarantee happiness. The past few weeks have been tough for the highest paid Manchester United stars. While one is playing but failing to impress, the other one has become the most expensive bench warmer in Europe. Sadly, it doesn’t look like Paul Pogba will get some consolation from international football as Didier Deschamps seems set to follow Mourinho's lead. 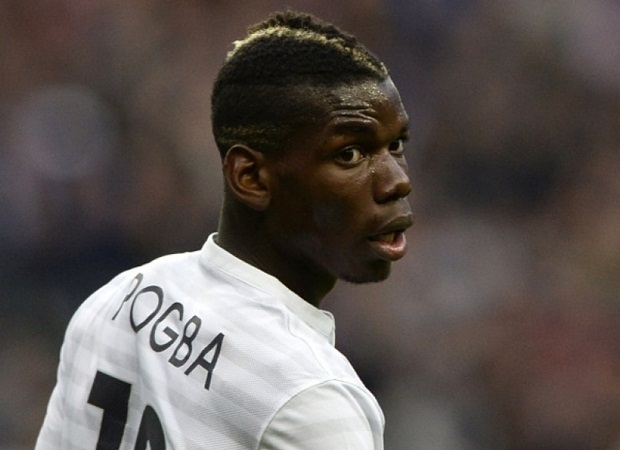 Paul Pogba, 25, will reportedly be dropped by France for Friday's friendly clash with Colombia. #BounceAwoof: WIN a 4 million naira trip to London or Dubai! French newspaper, L'Equipe reports that Deschamps is set to line-up his side in a 4-4-2 formation, with Chelsea star N'Golo Kante and Juventus ace Blaise Matuidi in the centre. Based on L'Equipe's information, Chelsea striker Olivier Giroud is expected to start up front with Atletico Madrid hit-man Antoine Griezmann, while Raphael Varane and Samuel Umtiti anchor the defence. France are unbeaten in 2018 and have not lost since a 2-1 defeat by Sweden last June. They face a Colombia side who took 27 points from a possible 54 in South American World Cup qualifying — just one fewer than Argentina. France are in Group C at Russia 2018 alongside Australia, Peru, Denmark, while Colombia are in Pool H with Poland, Senegal and Japan.